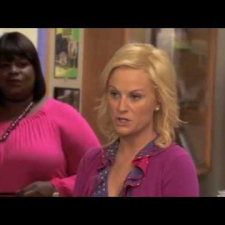 Parks and Recreation is an American comedy television series on the NBC television network, starring Amy Poehler as Leslie Knope, a perky, mid-level bureaucrat in the parks department of Pawnee, a fictional town in Indiana. 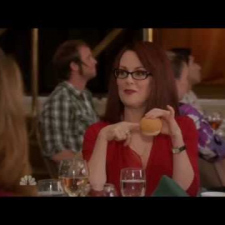 Conceived by Greg Daniels and Michael Schur, the series debuted on April 9, 2009 and is currently airing its sixth season in September 26, 2013. The show was renewed for a sixth season by NBC on May 9, 2013. 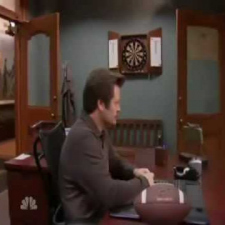 It uses a single-camera, mockumentary filming style, with the implication being that a documentary crew is filming everyone. The ensemble supporting cast features Amy Poehler, Rashida Jones, Aziz Ansari, Nick Offerman, Aubrey Plaza, Paul Schneider, Chris Pratt, Adam Scott, Rob Lowe, Jim O'Heir, and Retta. 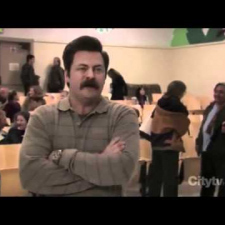 Parks and Recreation received generally mixed reviews during its first season. However, after some changes to its format and tone, its second and subsequent seasons received much better reviews. 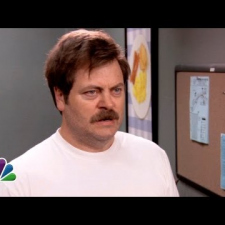 Parks and Recreation has received several awards and nominations, including a Primetime Emmy Award nomination for Outstanding Comedy Series. 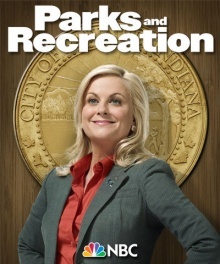 In Time's 2012 lists issue, Parks and Recreation was named the number one television series. 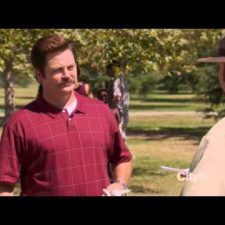 In 2013, after receiving four consecutive nominations in the category, Parks and Recreation won the Television Critics Association Award for Outstanding Achievement in Comedy.